These two robots joined our family this Christmas. They took me a few late nights to cut out and sew, but it was definitely worth it. Boy 2 and boy 3 adore them, and they are already a must grab item for going to bed. 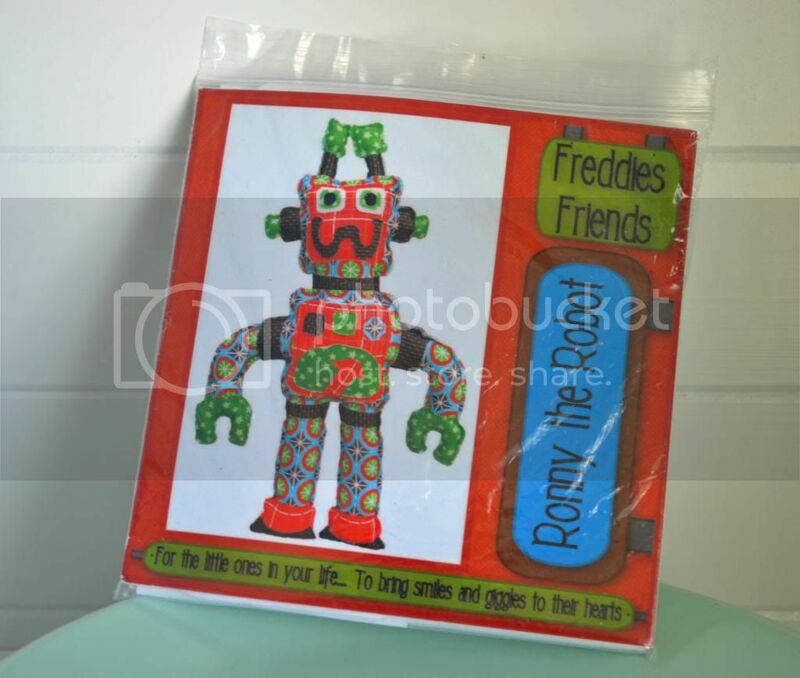 I bought this Freddies Friends pattern at a local quilt shop about two years ago. 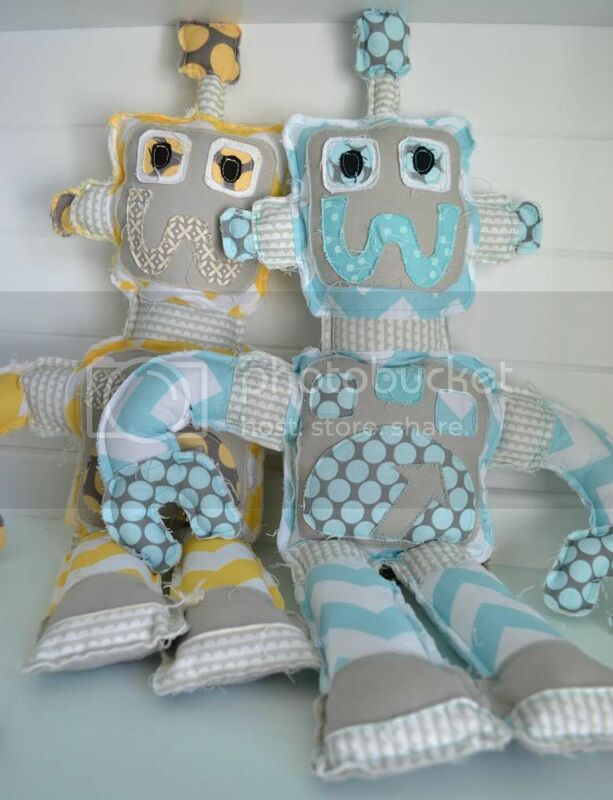 It was right before Christmas, and I was in the middle of making boy 2 and boy 3 quilts, and I thought it would be fun to make them each robots out of the left over fabric. I didn't like how the robot pattern had raw edge seams so I decided to give the robot a more finished look and make the seams all inward facing. It turned out to be a disaster as it made it nearly impossible to stuff and then my seams started to rip apart. It was too close to Christmas for me to try again, so in frustration, I put the robot away in my sewing room and gave up. A few weeks ago, boy 2 found the half finished robot and begged me to finish making him. I wasn't going to touch that thing again, so I told him I would make him a new one out of his favorite color: yellow. Since boy 2 and boy 3 are so close in age, and have to have everything the same, I made boy 3 a robot out of his favorite color: blue. This time I left the raw edge seams (even though the OCD person inside of me wants to scream that they don't look finished enough). Also, I decided to give my robots only one antenna instead of the two the pattern calls for. I like them much better that way. Boy 1 liked the robots so much that he is now begging me to make him one out of his favorite color: green. And since I'm going to pull the pattern out again, I think I'll make boy 4 one as well, even though he's still a baby and could care less. Chances are in a year or two I'd have to make one for him anyway. Scanning your tags, and being a geek the word robots stood out. I like your story of creating robots for your little men. I think the one antenna looks better also.